Corporate governance can be defined as a combination of fairness, precision, accountability and sustainability of corporate behavior. 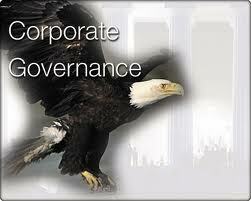 Good Corporate governance is a key factor to achieve the improved performance of an organization. It is fundamental element to safeguard interest of shareholders. For continuous and sustainable growth of an organization, there is no alternative to effective Corporate Governance. The modern era of Corporate Social Responsibility (CSR) concept was evolved in 1950s when it was more commonly known as social responsibility. CSR has been defined as “the integration of business operations and values whereby the interests of all stakeholders, including customers, employees, investors, and the environment are reflected in the organizations policies and actions. By CSR practices an organization can improve communication with the community and other stakeholders, ensure accountability and transparency in its operation, improve internal decision making and cost saving, enhance corporate image, improve reputation and ability to enlarge market share and Enhancement of customer true worthiness, profitability and sustainable development. To observe the current status of Corporate Governance and Corporate Social Responsibility (CSR) and their relationship with organization performance. To see the Corporate Social Responsibility (CSR) practice by the listed companies. To see the risk-return features of security stocks and their relationship with Corporate Governance practices. To see the Corporate Governance practices of other countries. The scope of the study has been the listed companies of Dhaka Stock Exchange (DSE) specifically banking sector. Corporate Governance and Corporate Social Responsibility (CSR) practices by the banks in the year 2008 were the main ingredient of the report. Stock performance of the bank for the sake of calculating return and risk has been taken up to 2007. The research is both exploratory and descriptive in nature. To serve the objective to see the Corporate Governance practices and to explain the relationship between Corporate Governance and firm’s performance we have gone for descriptive discussion on corporate governance and corporate social responsibility disclosure. To see the relationship between return and corporate governance disclosure and risk and corporate governance disclosure we have used correlation study. Chapter one includes prefatory parts of the report. Chapter two includes definition and concept of Corporate Governance and Corporate Social Responsibility (CSR). Chapter three includes Corporate Governance practices around the world. Chapter four includes of Corporate Governance and Corporate Social Responsibility (CSR) disclosure by the Banks. There were some limitations of the study among which non availability of data was the most, especially for the non listed companies. Another limitation was least amount of disclosure regarding Corporate Governance. Corporate Social Responsibility (CSR) activities of the banks were very limited, as well as the disclosure regarding CSR. Corporate governance is the set of processes, customs, policies, laws, and institutions affecting the way a corporation is directed, administered or controlled. Corporate governance also includes the relationships among the many stakeholders involved and the goals for which the corporation is governed. The principal stakeholders are the shareholders/members, management, and the board of directors. Other stakeholders include labor (employees), customers, creditors (e.g., banks, bond holders), suppliers, regulators, and the community at large. For Not-For-Profit Corporations or other membership Organizations the “shareholders” means “members” in the text below (if applicable). There has been renewed interest in the corporate governance practices of modern corporations since 2001, particularly due to the high-profile collapses of a number of large U.S. firms such as Enron Corporation and MCI Inc. (formerly WorldCom). In 2002, the U.S. federal government passed the Sarbanes-Oxley Act, intending to restore public confidence in corporate governance. In A Board Culture of Corporate Governance, business author Gabrielle O’Donovan defines corporate governance as ‘an internal system encompassing policies, processes and people, which serves the needs of shareholders and other stakeholders, by directing and controlling management activities with good business savvy, objectivity, accountability and integrity. Sound corporate governance is reliant on external marketplace commitment and legislation, plus a healthy board culture which safeguards policies and processes’. O’Donovan goes on to say that ‘the perceived quality of a company’s corporate governance can influence its share price as well as the cost of raising capital. Quality is determined by the financial markets, legislation and other external market forces plus how policies and processes are implemented and how people are led. External forces are, to a large extent, outside the circle of control of any board. The internal environment is quite a different matter, and offers companies the opportunity to differentiate from competitors through their board culture. To date, too much of corporate governance debate has centered on legislative policy, to deter fraudulent activities and transparency policy which misleads executives to treat the symptoms and not the cause. It is a system of structuring, operating and controlling a company with a view to achieve long term strategic goals to satisfy shareholders, creditors, employees, customers and suppliers, and complying with the legal and regulatory requirements, apart from meeting environmental and local community needs. Report of SEBI committee (India) on Corporate Governance defines corporate governance as the acceptance by management of the inalienable rights of shareholders as the true owners of the corporation and of their own role as trustees on behalf of the shareholders. It is about commitment to values, about ethical business conduct and about making a distinction between personal & corporate funds in the management of a company.” The definition is drawn from the Gandhian principle of trusteeship and the Directive Principles of the Indian Constitution. Corporate Governance is viewed as ethics and a moral duty. In the 19th century, state corporation laws enhanced the rights of corporate boards to govern without unanimous consent of shareholders in exchange for statutory benefits like appraisal rights, to make corporate governance more efficient. Since that time, and because most large publicly traded corporations in the US are incorporated under corporate administration friendly Delaware law, and because the US’s wealth has been increasingly securitized into various corporate entities and institutions, the rights of individual owners and shareholders have become increasingly derivative and dissipated. The concerns of shareholders over administration pay and stock losses periodically has led to more frequent calls for corporate governance reforms. In the 20th century in the immediate aftermath of the Wall Street Crash of 1929 legal scholars such as Adolf Augustus Berle, Edwin Dodd, and Gardiner C. Means pondered on the changing role of the modern corporation in society. Berle and Means’ monograph “The Modern Corporation and Private Property” (1932, Macmillan) continues to have a profound influence on the conception of corporate governance in scholarly debates today. From the Chicago school of economics, Ronald Coase‘s “The Nature of the Firm” (1937) introduced the notion of transaction costs into the understanding of why firms are founded and how they continue to behave. Fifty years later, Eugene Fama and Michael Jensen‘s “The Separation of Ownership and Control” (1983, Journal of Law and Economics) firmly established agency theory as a way of understanding corporate governance: the firm is seen as a series of contracts. Agency theory’s dominance was highlighted in a 1989 article by Kathleen Eisenhardt (“Agency theory: an assessment and review”, Academy of Management Review). Since the late 1970’s, corporate governance has been the subject of significant debate in the U.S. and around the globe. Bold, broad efforts to reform corporate governance have been driven, in part, by the needs and desires of shareowners to exercise their rights of corporate ownership and to increase the value of their shares and, therefore, wealth. Over the past three decades, corporate directors’ duties have expanded greatly beyond their traditional legal responsibility of duty of loyalty to the corporation and its shareowners. In the first half of the 1990s, the issue of corporate governance in the U.S. received considerable press attention due to the wave of CEO dismissals (e.g. : IBM, Kodak, Honeywell) by their boards. The California Public Employees’ Retirement System (CalPERS) led a wave of institutional shareholder activism (something only very rarely seen before), as a way of ensuring that corporate value would not be destroyed by the now traditionally cozy relationships between the CEO and the board of directors (e.g., by the unrestrained issuance of stock options, not infrequently back dated). In 1997, the East Asian Financial Crisis saw the economies of Thailand, Indonesia, South Korea, Malaysia and The Philippines severely affected by the exit of foreign capital after property assets collapsed. The lack of corporate governance mechanisms in these countries highlighted the weaknesses of the institutions in their economies. In the early 2000s, the massive bankruptcies (and criminal malfeasance) of Enron and WorldCom, as well as lesser corporate debacles, such as Adelphia Communications, AOL, Arthur Andersen, Global Crossing, Tyco, led to increased shareholder and governmental interest in corporate governance. Parties involved in corporate governance include the regulatory body (e.g. the Chief Executive Officer, the board of directors, management and shareholders). Other stakeholders who take part include suppliers, employees, creditors, customers and the community at large. In corporations, the shareholder delegates decision rights to the manager to act in the principal’s best interests. This separation of ownership from control implies a loss of effective control by shareholders over managerial decisions. Partly as a result of this separation between the two parties, a system of corporate governance controls is implemented to assist in aligning the incentives of managers with those of shareholders. With the significant increase in equity holdings of investors, there has been an opportunity for a reversal of the separation of ownership and control problems because ownership is not so diffuse. A board of directors often plays a key role in corporate governance. It is their responsibility to endorse the organization’s strategy, develop directional policy, appoint, supervise and remunerate senior executives and to ensure accountability of the organization to its owners and authorities. The Company Secretary, known as a Corporate Secretary in the US and often referred to as a Chartered Secretary if qualified by the Institute of Chartered Secretaries and Administrators (ICSA), is a high ranking professional who is trained to uphold the highest standards of corporate governance, effective operations, compliance and administration. All parties to corporate governance have an interest, whether direct or indirect, in the effective performance of the organization. Directors, workers and management receive salaries, benefits and reputation, while shareholders receive capital return. Customers receive goods and services; suppliers receive compensation for their goods or services. In return these individuals provide value in the form of natural, human, social and other forms of capital. A key factor is an individual’s decision to participate in an organization e.g. through providing financial capital and trust that they will receive a fair share of the organizational returns. If some parties are receiving more than their fair return then participants may choose to not continue participating leading to organizational collapse. Key elements of good corporate governance principles include honesty, trust and integrity, openness, performance orientation, responsibility and accountability, mutual respect, and commitment to the organization. Of importance is how directors and management develop a model of governance that aligns the values of the corporate participants and then evaluate this model periodically for its effectiveness. In particular, senior executives should conduct themselves honestly and ethically, especially concerning actual or apparent conflicts of interest, and disclosure in financial reports. Rights and equitable treatment of shareholders: Organizations should respect the rights of shareholders and help shareholders to exercise those rights. They can help shareholders exercise their rights by effectively communicating information that is understandable and accessible and encouraging shareholders to participate in general meetings. Interests of other stakeholders: Organizations should recognize that they have legal and other obligations to all legitimate stakeholders. Role and responsibilities of the board: The board needs a range of skills and understanding to be able to deal with various business issues and have the ability to review and challenge management performance. It needs to be of sufficient size and have an appropriate level of commitment to fulfill its responsibilities and duties. There are issues about the appropriate mix of executive and non-executive directors. Integrity and ethical behavior: Ethical and responsible decision making is not only important for public relations, but it is also a necessary element in risk management and avoiding lawsuits. Organizations should develop a code of conduct for their directors and executives that promotes ethical and responsible decision making. It is important to understand, though, that reliance by a company on the integrity and ethics of individuals is bound to eventual failure. Because of this, many organizations establish Compliance and Ethics Programs to minimize the risk that the firm steps outside of ethical and legal boundaries. Disclosure and transparency: Organizations should clarify and make publicly known the roles and responsibilities of board and management to provide shareholders with a level of accountability. They should also implement procedures to independently verify and safeguard the integrity of the company’s financial reporting. Disclosure of material matters concerning the organization should be timely and balanced to ensure that all investors have access to clear, factual information. Demand for information: A barrier to shareholders using good information is the cost of processing it, especially to a small shareholder. The traditional answer to this problem is the efficient market hypothesis (in finance, the efficient market hypothesis (EMH) asserts that financial markets are efficient), which suggests that the small shareholder will free ride on the judgments of larger professional investors. Monitoring costs: In order to influence the directors, the shareholders must combine with others to form a significant voting group which can pose a real threat of carrying resolutions or appointing directors at a general meeting. Supply of accounting information: Financial accounts form a crucial link in enabling providers of finance to monitor directors. Imperfections in the financial reporting process will cause imperfections in the effectiveness of corporate governance. This should, ideally, be corrected by the working of the external auditing process. Corporate governance mechanisms and controls are designed to reduce the inefficiencies that arise from moral hazard and adverse selection. For example, to monitor managers’ behavior, an independent third party (the external auditor) attests the accuracy of information provided by management to investors. An ideal control system should regulate both motivation and ability. Monitoring by the board of directors: The board of directors, with its legal authority to hire, fire and compensate top management, safeguards invested capital. Regular board meetings allow potential problems to be identified, discussed and avoided. Whilst non-executive directors are thought to be more independent, they may not always result in more effective corporate governance and may not increase performance. Different board structures are optimal for different firms. Moreover, the ability of the board to monitor the firm’s executives is a function of its access to information. Executive directors possess superior knowledge of the decision-making process and therefore evaluate top management on the basis of the quality of its decisions that lead to financial performance outcomes, ex ante. It could be argued, therefore, that executive directors look beyond the financial criteria. Balance of power: The simplest balance of power is very common; require that the President be a different person from the Treasurer. This application of separation of power is further developed in companies where separate divisions check and balance each other’s actions. One group may propose company-wide administrative changes, another group review and can veto the changes, and a third group check that the interests of people (customers, shareholders, employees) outside the three groups are being met. Remuneration: Performance-based remuneration is designed to relate some proportion of salary to individual performance. It may be in the form of cash or non-cash payments such as shares and share options, superannuation or other benefits. Such incentive schemes, however, are reactive in the sense that they provide no mechanism for preventing mistakes or opportunistic behavior, and can elicit myopic behavior. The broad objective of the research is to understand the state of corporate governance in Public limited companies – Financial and Non-Financial institutions and State Owned Enterprises (SOE) in Bangladesh. a. The current practice of corporate governance in terms of accountability to its stakeholders. b. How far the current practice of corporate governance passes the test of fairness. c. Whether corporate governance system in Bangladesh is transparent for all stakeholders. In the first instance, extensive literary reviews indicated that corporate governance has been addressed, analyzed, defined from various perspectives. In order to narrow it down the scope the study concentrated on three sectors of Bangladesh. These are: a) state owned-enterprise (State Owned Enterprises), Public limited companies both b) financial institutions, and c) non-financial institutions. After this, a series of discussions and meetings with key personnel of the organizations such as active board members, board secretaries, and company executives were held to identify the focus of the study within the context of Bangladesh. Similarly, consultation with academics and researchers were also conducted to further broaden the study. It was found that the key issues related to ensuring good governance in the corporate sector includes a) transparency to all stakeholders, b) accountability of the management and the board, c) fairness in the decision making, and d) responsibility of the management and the board . Ensuring these in a corporate culture requires following rules and regulations both in the spirit and in the practice. e) Function of the board, and f) effectiveness of the independent directors. Preliminary discussion with key stakeholders also revealed that the corporate sector is yet not ready to reveal information beyond their statutory requirements. At this point, the questionnaire was made semi-structured to allow for in-depth interviews with key individuals of the companies. The study used interviews with key stakeholders, experts and executive, of these types of companies, a questionnaire survey and also group discussions to arrive at the following conclusions. In terms of three sectors, this study found that financial and non-financial public limited companies are more open to their shareholders compared to SOEs. This means that except for SOEs, shareholders of the companies do receive information to protect their interests in the company. In the SOEs, the dominant player, the state, is more powerful and do not adequately share information with minority shareholders. State Owned Enterprises need to improve the practice of disclosure of information to all shareholders, so that other shareholders feel that they are treated equitably. The principle objective of this disclosure of information is to ensure transparency. Organizations in all the three sectors need to improve their procedures of disclosures. At present most of the above issues are reported in Annual Reports (AR) and/or in the Reports to the Regulatory (RR) agencies. However rather than using a box checking methods (i.e. carrying out minimum requirements that ensures that the organization is complying with the regulations) organizations should focus more on the spirit of the disclosure. Some issues like directors selling or buying are not disclosed at all. This is crucial for the potential future investors of the enterprise. Directors remuneration are also rarely disclosed, this needs further improvement. In the case of disclosure and transparency to the public State Owned Enterprises are doing better than the public limited companies both financial and non-financial institutions. The latter should develop and promote the culture of disclosure to public in more effective manners. Four separate issues were studied to understand the effectiveness of the board. An effective board is a sign of healthy corporate culture. These are discussed below. CEOs are expected to carry out the vision of the board, take decisions and report to the boards the status of the organization on a regular basis. Board is expected to evaluate the performance of CEO in order to ensure good practice of corporate governance. In this particular case financial institutions and State Owned Enterprises are doing better than the non-financial public limited enterprises. Non-financial public limited organizations rarely evaluate their CEOs, this could be because in many cases CEOs are directly linked and/or have more shares than the other members of the board. This practice will not create a healthy and effective board culture. Independent directors are appointed in board by law to protect the interest of the numerous small shareholders of the organization. Although most financial institutions have independent directors (following the legal compliance) they rarely or never intervene in the decision making process of the board; where as independent directors in non-financial public limited organization play nominal role. In case of SOE independent directors have significant influence in the decision making process of the board. In this paper, different means of reverse engineering a debt structure for Islamic banks’ liabilities, which would resolve the corporate governance and regulatory problems posed by the investment account structure (wherein holders of those accounts lack internal corporate protection through representation on the board of directors, and lack legal and regulatory protection as creditors and first claimants to the banks’ assets) have been analyzed. Regulators mainly focus on protecting the interests of depositors through reserve ratios, capital adequacy requirements, etc., while managers focus on serving the interests of shareholders, who are the only remaining stakeholders, subject to regulatory constraints. Since the majority of Islamic bank managers built their careers originally in conventional banking, they naturally bring this frame of mind to their Islamic financial institutions. Pakistan’s banking sector develops and implements good governance practices, in order to provide impetus to economic growth. In the realm of a rapidly globalizing world – characterized by liberalization of markets, relatively free-era trade, sophistication of financial products and instruments, and growing awareness among consumers – Pakistan is ripe with lucrative opportunities for foreign and local investors alike. To find whether the regulatory intervention be the most important corporate control mechanism in banking or should regulators focus on introducing incentives for appropriate market behavior. The common mechanisms of corporate governance, which are valid for firms in general, are not equally valid in banking and this legitimates the regulatory authorities to influence, or even dominate, the corporate governance of banks in place of private monitors. They justify this on a variety of different grounds in the course of time. The traditional argument is the grater opacity of banks: bank assets are extremely difficult for outsiders to value and, consequently, market mechanisms cannot adequately control bank managers and shareholders. Today, the authors who underline the uniqueness of banks seem to have switched their attention to such different aspects as the need for an expanded set of fiduciary duties for bank directors and the empirical differences in the governance-relevant variables between banking and manufacturing firms. To find how good governance can prevent corporate failure. a) Developing infrastructural facilities of the total systems. Government, development partners, NGOs, private sectors should work together to build the infrastructural facilities that will ensure maximum availability of information, reducing the asymmetries of information, ensuring the availability of information at minimal cost. b) Building the awareness among the corporations, public, beneficiaries and other related stakeholders about consequences of the good governance. A platform should be crated where different interest group can post their concerns, issues and updates. c) International standard for financial reporting system should be incorporated gradually into all corporations, where option for adjustment/tuning up will be kept open for indigenous need. d) Coordinating different laws, acts, regulations that handle the same category of issues. It has been observed that most of the malpractice cases escaped due to lack of uniformity of laws, rules and acts. A high powered coronation committee can be formed in this regard, who will align the dissimilarities of existing laws regarding the issues. e) Forming a central watchdog to dig into the complaint, non-compliance, misrepresentation, malpractices, window dressing and other negative matters. It should be headed by the experts form different streams of expertise and knowledge. f) Privatization of SOEs has to be implemented gradually and with cautions, as the motive of SOE and the motive of private one differs. To safeguard the benefits of mass people and to be a profitable at the same time, the standard operating procedure (SOP) of the privatized SOE will have to be designed with collaboration of regulatory authorities and watchdogs. This paper highlights the corporate governance of financial institutions with particular reference to banking sector of Bangladesh. The importance of corporate governance of banks remains crucial given their contribution in economic growth through financial development. This paper has shed light on the structures of corporate governance of banks in Bangladesh involving their ownership structure, board issues, executive aspects, disclosure, and audit practices along with their associated weaknesses. The paper has also showed how political interference and failure by the regulators has contributed to the governance problems in the banks. In order to restore discipline and bring sound corporate governance the first priority is to keep the system out of political influence. The political considerations/influence reigns supreme in Bangladesh banking from running the public sector bank to issuing private bank licenses and from interfering with the central bank to protecting bank defaulters. Banks and regulators need total autonomy and must be allowed to deal with banking issues in terms of economic and commercial viability. The central bank must be given the freedom of acting on behalf of the depositors. However the central bank needs to restructure it self with better monitoring techniques, use of technology and improve the quality and accountability of its own human resources. Corporate Social Responsibility (CSR) has been described as corporate citizenship, moral and transparent business values, ecological sustainability or corporate charity. It is a business practice to deliver sustainable and ethical values to the equity holders, employees, customers, environment, society, government and other stakeholders at large. Corporate Social Responsibility is the commitment of businesses towards the society to contribute to sustainable economic development by working with employees, the local community and society at large to improve their lives iii ways that are good for business and for development. Corporate Social Responsibility (CSR), also known as corporate responsibility, corporate citizenship, responsible business and corporate social performance’ is a form of corporate self-regulation integrated into a business model. Ideally, CSR policy would function as a built-in, self-regulating mechanism whereby business would monitor and ensure their adherence to law, ethical standards, and international norms. Business would embrace responsibility for the impact of their activities on the environment, consumers, employees, communities, stakeholders and all other members of the public sphere. Furthermore, business would proactively promote the public interest by encouraging community growth and development, and voluntarily eliminating practices that harm the public sphere, regardless of legality. Essentially, CSR is the deliberate inclusion of public interest into corporate decision-making, and the honoring of a triple bottom line: People, Planet, and Profit. The practice of CSR is subject to much debate and criticism. Proponents argue that there is a strong business case for CSR, in that corporations benefit in multiple ways by operating with a perspective broader and longer than their own immediate, short-term profits. Critics argue that CSR distracts from the fundamental economic role of businesses; others argue that it is nothing more than superficial window-dressing; others argue that it is an attempt to pre-empt the role of governments as a watchdog over powerful multinational corporations. Business ethics can be both a normative and a descriptive discipline. As a corporate practice and a career specialization, the field is primarily normative. In academia, descriptive approaches are also taken. The range and quantity of business ethical issues reflects the degree to which business is perceived to be at odds with non-economic social values. Historically, interest in business ethics accelerated dramatically during the 1980s and 1990s, both within major corporations and within academia. For example, today most major corporate websites lay emphasis on commitment to promoting non-economic social values under a variety of headings (e.g. ethics codes, social responsibility charters). In some cases, corporations have re-branded their core values in the light of business ethical considerations (e.g. BP‘s “beyond petroleum” environmental tilt). The term CSR came in to common use in the early 1970s although it was seldom abbreviated. The term stakeholder, meaning those impacted by an organization’s activities, was used to describe corporate owners beyond shareholders as a result of an influential book by R Freeman in 1984. Whilst there is no recognized standard for CSR, public sector organizations (the United Nations for example) adhere to the Triple Bottom Line (TBL). It is widely accepted that CSR adheres to similar principals but with no formal act of legislation. An approach for CSR that is becoming more widely accepted is community-based development projects, such as the Shell Foundation‘s involvement in the Flower Valley, South Africa. Here they have set up an Early Learning Centre to help educate the community’s children, as well as develop new skills for the adults. Marks and Spencer is also active in this community through the building of a trade network with the community – guaranteeing regular fair trade purchases. Often alternative approaches to this are the establishment of education facilities for adults, as well as HIV/AIDS education programmes. The majority of these CSR projects are established in Africa. A more common approach of CSR is through the giving of aid to local organizations and impoverished communities in developing countries. Some organizationsdo not like this approach as it does not help build on the skills of the local people, whereas community-based development generally leads to more sustainable development. The scale and nature of the benefits of CSR for an organization can vary depending on the nature of the enterprise, and are difficult to quantify, though there is a large body of literature exhorting business to adopt measures beyond financial ones (e.g., Deming‘s Fourteen Points, balanced scorecards). Orlitzky, Schmidt, and Rynes found a correlation between social/environmental performance and financial performance. However, businesses may not be looking at short-run financial returns when developing their CSR strategy. The definition of CSR used within an organization can vary from the strict “stakeholder impacts” definition used by many CSR advocates and will often include charitable efforts and volunteering. CSR may be based within the human resources, business development or public relations departments of an organization, or may be given a separate unit reporting to the CEO or in some cases directly to the board. Some companies may implement CSR-type values without a clearly defined team or programme. A CSR programme can be an aid to recruitment and retention, particularly within the competitive graduate student market. Potential recruits often ask about a firm’s CSR policy during an interview, and having a comprehensive policy can give an advantage. CSR can also help to improve the perception of a company among its staff, particularly when staff can become involved through payroll giving, fundraising activities or community volunteering. Managing risk is a central part of many corporate strategies. Reputations that take decades to build up can be ruined in hours through incidents such as corruption scandals or environmental accidents. These events can also draw unwanted attention from regulators, courts, governments and media. Building a genuine culture of ‘doing the right thing’ within a corporation can offset these risks. Corporations are keen to avoid interference in their business through taxation or regulations. By taking substantive voluntary steps, they can persuade governments and the wider public that they are taking issues such as health and safety, diversity or the environment seriously, and so avoid intervention. This also applies to firms seeking to justify eye-catching profits and high levels of boardroom pay. Those operating away from their home country can make sure they stay welcome by being good corporate citizens with respect to labor standards and impacts on the environment. Critics of CSR as well as proponents debate a number of concerns related to it. These include CSR’s relationship to the fundamental purpose and nature of business and questionable motives for engaging in CSR, including concerns about insincerity and hypocrisy. Corporations exist to provide products and/or services that produce profits for their shareholders. Milton Friedman and others take this a step further, arguing that a corporation’s purpose is to maximize returns to its shareholders, and that since (in their view), only people can have social responsibilities, corporations are only responsible to their shareholders and not to society as a whole. Although they accept that corporations should obey the laws of the countries within which they work, they assert that corporations have no other obligation to society. Some people perceive CSR as incongruent with the very nature and purpose of business, and indeed a hindrance to free trade. Those who assert that CSR is incongruent with capitalism and are in favor of neoliberalism argue that improvements in health, longevity and/or infant mortality have been created by economic growth attributed to free enterprise. Critics of this argument perceive neoliberalism as opposed to the well-being of society and a hindrance to human freedom. They claim that the type of capitalism practiced in many developing countries is a form of economic and cultural imperialism, noting that these countries usually have fewer labor protections, and thus their citizens are at a higher risk of exploitation by multinational corporations. A wide variety of individuals and organizations operate in between these poles. For example, the REALeadership Alliance asserts that the business of leadership (be it corporate or otherwise) is to change the world for the better. Many religious and cultural traditions hold that the economy exists to serve human beings, so all economic entities have an obligation to society (e.g., cf. Economic Justice for All). Moreover, as discussed above, many CSR proponents point out that CSR can significantly improve long-term corporate profitability because it reduces risks and inefficiencies while offering a host of potential benefits such as enhanced brand reputation and employee engagement. Some critics believe that CSR programs are undertaken by companies such as British American Tobacco (BAT), the petroleum giant BP (well-known for its high-profile advertising campaigns on environmental aspects of its operations), and McDonald’s to distract the public from ethical questions posed by their core operations. They argue that some corporations start CSR programs for the commercial benefit they enjoy through raising their reputation with the public or with government. They suggest that corporations which exist solely to maximize profits are unable to advance the interests of society as a whole. Another concern is when companies claim to promote CSR and be committed to Sustainable Development whilst simultaneously engaging in harmful business practices. For example, since the 1970s, the McDonald’s Corporation‘s association with Ronald McDonald House has been viewed as CSR and relationship marketing. More recently, as CSR has become mainstream, the company has beefed up its CSR programs related to its labor, environmental and other practices All the same, in McDonald’s Restaurants v Morris & Steel, Lord Justices Pill, May and Keane ruled that it was fair comment to say that McDonald’s employees worldwide ‘do badly in terms of pay and conditions and true that ‘if one eats enough McDonald’s food, one’s diet may well become high in fat etc., with the very real risk of heart disease. Shell has a much-publicized CSR policy and was a pioneer in triple bottom line reporting, but this did not prevent the 2004 scandal concerning its misreporting of oil reserves, which seriously damaged its reputation and led to charges of hypocrisy. Since then, the Shell Foundation has become involved in many projects across the world, including a partnership with Marks and Spencer (UK) in three flower and fruit growing communities across Africa. Critics concerned with corporate hypocrisy and insincerity generally suggest that better governmental and international regulation and enforcement, rather than voluntary measures, are necessary to ensure that companies behave in a socially responsible manner. Corporations may be influenced to adopt CSR practices by several drivers. As corporations pursue growth through globalization, they have encountered new challenges that impose limits to their growth and potential profits. Government regulations, tariffs, environmental restrictions and varying standards of what constitutes labor exploitation are problems that can cost organizations millions of dollars. Some view ethical issues as simply a costly hindrance. Some companies use CSR methodologies as a strategic tactic to gain public support for their presence in global markets, helping them sustain a competitive advantage by using their social contributions to provide a subconscious level of advertising. (Fry, Keim, Meiners 1986, 105) Global competition places particular pressure on multinational corporations to examine not only their own labor practices, but those of their entire supply chain, from a CSR perspective. The role among corporate stakeholders to work collectively to pressure corporations is changing. Shareholders and investors themselves, through socially responsible investing are exerting pressure on corporations to behave responsibly. Non-governmental organizations are also taking an increasing role, leveraging the power of the media and the Internet to increase their scrutiny and collective activism around corporate behavior. Through education and dialogue, the development of community in holding businesses responsible for their actions is growing (Roux 2007). The rise of ethics training inside corporations, some of it required by government regulation, is another driver credited with changing the behavior and culture of corporations. The aim of such training is to help employees make ethical decisions when the answers are unclear. Tullberg believes that humans are built with the capacity to cheat and manipulate, a view taken from (Trivers 1971, 1985), hence the need for learning normative values and rules in human behavior (Tullberg 1996). The most direct benefit is reducing the likelihood of “dirty hands” (Grace and Cohen 2005), fines and damaged reputations for breaching laws or moral norms. Organizations also see secondary benefit in increasing employee loyalty and pride in the organization. Caterpillar and Best Buy are examples of organizations that have taken such steps (Thilmany 2007). The issues surrounding government regulation pose several problems. Regulation in itself is unable to cover every aspect in detail of a corporation’s operations. This leads to burdensome legal processes bogged down in interpretations of the law and debatable grey areas (Sacconi 2004). General Electric is an example of a corporation that has failed to clean up the Hudson River after contaminating it with organic pollutants. The company continues to argue via the legal process on assignment of liability, while the cleanup remains stagnant. (Sullivan & Schiafo 2005). The second issue is the financial burden that regulation can place on a nation’s economy. This view shared by Bulkeley, who cites the Australian federal government’s actions to avoid compliance with the Kyoto Protocol in 1997, on the concerns of economic loss and national interest. The Australian government took the position that signing the Kyoto Pact would have caused more significant economic losses for Australia than for any other OECD nation (Bulkeley 2001, pg 436). Critics of CSR also point out those organizations pay taxes to government to ensure that society and the environment are not adversely affected by business activities. Often it takes a crisis to precipitate attention to CSR. One of the most active stands against environmental management is the CERES Principles that resulted after the Exxon Valdez incident in Alaska in 1989 (Grace and Cohen 2006). Other examples include the lead poisoning paint used by toy giant Mattel, which required a recall of millions of toys globally and caused the company to initiate new risk management and quality control processes. In another example, Magellan Metals in the West Australian town of Esperance was responsible for lead contamination killing thousands of birds in the area. The company had to cease business immediately and work with independent regulatory bodies to execute a cleanup. Increasingly, corporations are motivated to become more socially responsible because their most important stakeholders expect them to understand and address the social and community issues that are relevant to them. Understanding what causes are important to employees is usually the first priority because of the many interrelated business benefits that can be derived from increased employee engagement (i.e. more loyalty, improved recruitment, increased retention, higher productivity, an so on). Key external stakeholders include customers, consumers, investors (particularly institutional investors, regulators, academics, and the media). There are many different models of corporate governance around the world. These differ according to the variety of capitalism in which they are embedded. The liberal model that is common in Anglo-American countries tends to give priority to the interests of shareholders. The coordinated model that one finds in Continental Europe and Japan also recognizes the interests of workers, managers, suppliers, customers, and the community. Each model has its own distinct competitive advantage. The liberal model of corporate governance encourages radical innovation and cost competition, whereas the coordinated model of corporate governance facilitates incremental innovation and quality competition. However, there are important differences between the U.S. recent approach to governance issues and what has happened in the UK. In the United States, a corporation is governed by a board of directors, which has the power to choose an executive officer, usually known as the chief executive officer. The CEO has broad power to manage the corporation on a daily basis, but needs to get board approval for certain major actions, such as hiring his/her immediate subordinates, raising money, acquiring another company, major capital expansions, or other expensive projects. Other duties of the board may include policy setting, decision making, monitoring management’s performance, or corporate control. The board of directors is nominally selected by and responsible to the shareholders, but the bylaws of many companies make it difficult for all but the largest shareholders to have any influence over the makeup of the board; normally, individual shareholders are not offered a choice of board nominees among which to choose, but are merely asked to rubberstamp the nominees of the sitting board. Perverse incentives have pervaded many corporate boards in the developed world, with board members beholden to the chief executive whose actions they are intended to oversee. Frequently, members of the boards of directors are CEOs of other corporations, which some see as a conflict of interest. Reasons to deviate from the sound rule, they should be able to convincingly explain those to their shareholders. For example, companies quoted on the London and Toronto Stock Exchanges formally need not follow the recommendations of their respective national codes. However, they must disclose whether they follow the recommendations in those documents and, where not, they should provide explanations concerning divergent practices. Such disclosure requirements exert a significant pressure on listed companies for compliance. In the United States, companies are primarily regulated by the state in which they incorporate though they are also regulated by the federal government and, if they are public, by their stock exchange. The highest numbers of companies are incorporated in Delaware, including more than half of the Fortune 500. This is due to Delaware’s generally business-friendly corporate legal environment and the existence of a state court dedicated solely to business issues (Delaware Court of Chancery). Most states’ corporate law generally follows the American Bar Association’s Model Business Corporation Act. While Delaware does not follow the Act, it still considers its provisions and several prominent Delaware justices, including former Delaware Supreme Court Chief Justice E. Norman Veasey, participate on ABA committees. One issue that has been raised since the Disney decision in 2005 is the degree to which companies manage their governance responsibilities; in other words, do they merely try to supersede the legal threshold, or should they create governance guidelines that ascend to the level of best practice. For example, the guidelines issued by associations of directors (see Section 3 above), corporate managers and individual companies tend to be wholly voluntary. For example, The GM Board Guidelines reflect the company’s efforts to improve its own governance capacity. Such documents, however, may have a wider multiplying effect prompting other companies to adopt similar documents and standards of best practice. One of the most influential guidelines has been the 1999 OECD Principles of Corporate Governance. This was revised in 2004. The OECD remains a proponent of corporate governance principles throughout the world. The World Business Council for Sustainable Development WBCSD has done work on corporate governance, particularly on accountability and reporting, and in 2004 created an frameworks. This document aims to provide general information, a “snap-shot” of the landscape and a perspective from a think-tank/professional association on a few key codes, standards and frameworks relevant to the sustainability agenda. Corporate governance is a major concern in the South Asia-Pacific region, especially in the aftermath of the 1997 Asian financial crisis. The size and frequency of recent corporate governance debacles show that poor governance is not only a formidable hurdle to surmount but is also at the forefront of economic development issues. A dilemma has arisen from recent experience: it is possible for companies to appear to comply with the requisite corporate governance rules without complying with the principles and spirit of good governance. Century) had highlighted the need for urgent capital market reform. 1992 (about the same time as the Cadbury committee in UK) to enforce Sri Lankan accounting standards, and then extended this initiative in 1996 (again before the East Asian financial crisis) to set up a committee to make recommendations on the financial aspects of corporate governance. Chartered Secretaries and Administrators of Sri Lanka have played, and are continuing to play significant roles. Companies Ordinance Act, which introduced a number of key features of good corporate governance, at a time when the very term ‘corporate governance’ had only just been coined and was still effectively unknown outside very specialized academic circles2. Furthermore, during the mid-1980s there were some significant policy and training programmes to strengthen corporate control, board direction and chairmanship in both the state enterprises and the private sector, through the Expert Advisory Cell of the Ministry of Industry and the Lahore University of Management Sciences and Institute of Personnel, supported by USAID. Although these programmes were not described as ‘corporate governance’, they could be said to form part of the corporate governance heritage of Pakistan. In Bangladesh, however, there have been no serious corporate scandals which have been enough to send shock waves to undermine confidence in the financial system, nor has the country found that it has reached the limits of conventional corporate financing mainly through bank lending. Bangladesh does not provide a sufficient motivation for improving corporate governance, nor are there many traditional domestic motivations for improvement in corporate governance practices in Bangladesh”. Nevertheless, that this does not mean that Bangladesh should give low priority to corporate governance, as there are reasons other than capital market reforms to focus on corporate governance. The Bangladesh country report notes the significance of corporate governance for a competitive private sector in a global market as well as for efficiently utilizing domestic investment to achieve greater economic development. Good corporate governance practices will help develop and stimulate better business management, strategic management, and risk management, which, in the long-term, will make Bangladeshi businesses more competitive. In addition, the lessons from the experience of the neighboring countries in South Asia are such that Bangladesh can deploy good corporate governance to prevent the problems which have afflicted other countries rather than to solve them after the event. As is documented in this volume, in Bangladesh, failings in institutions, government agencies, legal enforcement, and market behavior have resulted in weak corporate governance. In many cases, the current system in Bangladesh does not provide sufficient legal, institutional, or economic motivations for stakeholders to encourage and enforce good corporate governance practices. As a result, there are few rewards for companies that institute good corporate governance practices and no penalties for failing to do so. Targeted reforms in institutions or sectors can begin to provide the internal and external motivation for transparency and accountability that will lead to better corporate governance. Although Pakistan, Sri Lanka, and India have some similarities with Bangladesh in the way that the financial sector and private sector have developed historically, Bangladesh’s neighbors have recognized the importance of corporate governance and increased transparency in the corporate sector. Pakistan has a Code for Corporate Governance to which all listed companies are now required to comply. India has had several high-level committees looking at corporate governance. The Confederation of Indian Industry (CII) issued a voluntary code of desirable corporate governance in 1998 and the Securities and Exchange Board of India (SEBI) approved mandatory corporate governance listing requirements in the year 2000. Sri Lanka also has a Code of Best Practice on Corporate Governance drawn up by the Institute of Chartered Accountants of Sri Lanka. In each country, the codes have begun the process of encouraging or requiring companies to recognize the importance of good corporate governance practices. In concert with the efforts to design benchmarks for good corporate governance that are relevant to South Asian countries, efforts are under way to harmonize and improve accounting and auditing standards. The Accounting and Auditing Standards Monitoring Board in Sri Lanka and the Audit Quality Control Review Committee in Pakistan are two particularly good examples that could be emulated in Bangladesh. PUBALI BANK LIMITED is the largest Commercial Bank in Private Sector in Bangladesh. It provides mass banking services to the customers through its branch network all over the country. This Bank has been playing a vital role in socio-economic, industrial and agricultural development as well as in the overall economic development of the country since its inception through savings mobilization and investment of funds. During the last 5 years the growth rate of bank’s earnings is more than 25% on average. The Bank was initially emerged in the Banking scenario of the then East Pakistan as Eastern Mercantile Bank Limited at the initiative of some Bangalee entrepreneurs in the year 1959 under Bank Companies Act 1913. After independence of Bangladesh in 1972 this Bank was nationalized as per policy of the Government and renamed as Pubali Bank. Subsequently due to changed circumstances this Bank was denationalized in the year 1983 as a private bank and renamed as Pubali Bank Limited. The Government of the People’s Republic of Bangladesh handed over all assets and liabilities of the then Pubali Bank to the Pubali Bank Limited. Since then Pubali Bank Limited has been rendering all sorts of Commercial Banking services as the largest bank in private sector through its branch network all over the country. National Bank Limited has been licensed by the Government of Bangladesh as a Scheduled commercial bank in the private sector in pursuance of the policy of liberalization of banking and financial services and facilities in Bangladesh. In view of the above, the Bank within a period of 25 years of its operation achieved a remarkable success and met up capital adequacy requirement of Bangladesh Bank. With a wide range of modern corporate and consumer financial products National Bank has been operating in Bangladesh since 1985. In 1997, the bank introduced automated branch banking system to increase efficiency and improve customer service. The bank is one of the leading banks which introduced first Credit Card in Bangladesh. Our technology has been upgraded to manage the growth of the bank and meet the demands of our customers. ATMs now allow customers to retrieve 24×7 hours cash withdrawals. Southeast Bank Limited is a scheduled commercial bank in the private sector established under the ambit of Bank Company Act, 1991 and incorporated as a Public Limited Company under Companies Act, 1994 on March 12, 1995. The Bank started commercial banking operations on May 25, 1995. During this short span of time the Bank has succeeded in positioning itself as a progressive and dynamic financial institution in the country. The bank has been widely acclaimed by the business community, from small entrepreneurs to large traders and industrial conglomerates, including the top-rated corporate borrowers, for its forward – looking business outlook and innovative financial solutions. Thus within this very short period of time it has been able to create an image and earn significant reputation in the country’s banking sector as a Bank with Vision. Presently, it has 46 branches. Dhaka bank was incorporated as a public limited company under the Companies Act. 1994. The Bank started its commercial operation on July 05, 1995 with an authorized capital of Tk. 1,000 million and paid up capital of Tk. 100 million. The paid up capital of the Bank stood at Tk 1,934,252,875 as on June 30, 2008. The total equity (capital and reserves) of the Bank as on June 30, 2008 stood at Tk 3,424,609,016.The Bank has 44 branches, 2 SME Service Centers, 1 Business Center, 2 Offshore Banking Units across the country and a wide network of correspondents all over the world. The Bank has plans to open more branches in the current fiscal year to expand the network. The Bank offers the full range of banking and investment services for personal and corporate customers, backed by the latest technology and a team of highly motivated officers and staff.In effort to provide Excellence in banking services, the Bank has launched Online Banking service, joined a countrywide shared ATM network and has introduced a co-branded credit card. A process is also underway to provide e-business facility to the bank’s clientele through Online and Home banking solutions.Dhaka Bank Ltd. is the preferred choice in banking for friendly and personalized services, cutting edge technology, tailored solutions for business needs, global reach in trade and commerce and high yield on investments. A group of 13 dedicated and noted Islamic personalities of Bangladesh are the member of Board of Directors of the bank. They are also noted for their business acumen. Al-Arafah Islami Bank Ltd. has 46 braches and a total of 1033 employees (as of December 2007). Its authorized capital is Taka 2500 millions and the paid-up capital is Taka 1153.18 millions. responsiblity’. Due to its investment in this sector, DBBL has become one of the largest donors and the largest bank donor in Bangladesh. The bank has won numerous international awards because of its unique approach as a socially conscious bank. Southeast Bank Limited is a scheduled commercial bank in the private sector established under the ambit of Bank Company Act, 1991 and incorporated as a Public Limited Company under Companies Act, 1994 on May 20, 1999. The Bank started commercial banking operations on June 02, 1999. During this short span of time the Bank has succeeded in positioning itself as a progressive and dynamic financial institution in the country. The bank has been widely acclaimed by the business community, from small entrepreneurs to large traders and industrial conglomerates, including the top-rated corporate borrowers, for its forward – looking business outlook and innovative financial solutions. Thus within this very short period of time it has been able to create an image and earn significant reputation in the country’s banking sector as a Bank with Vision. Presently, it has 42 branches. Bank Asia has been launched by a group of successful entrepreneurs with recognized standing in the society. The paid up capital of the Bank is over Tk. 1116.00 million. The management of the Bank has been carefully selected consists of a team led by senior bankers with decades of experience in national and international markets. The senior management team is ably supported by a group of professionals many of whom have exposure in the international market. Bank Asia’s vision is to have a poverty free Bangladesh in course of a generation in the new millennium, reflecting the national dream. Our vision is to build a society where human dignity and human rights receive the highest consideration along with reduction of poverty. Compliance report as per Securities & Exchange Commission’s Notification dated 20th February, 2006 for all companies listed with any Stock Exchange in Bangladesh in order to improve Corporate Governance in the interest of Capital Market on “Comply or Explain” basis. 4.2.3 South East Bank Ltd.
4.2.5 Al-Arafah Islami Bank Ltd.
4.2.8 The Premier Bank Ltd.
Dutch-Bangla Bank Limited (DBBL) donated 130 bundles of GCI sheets worth Tk. 5.60 lac for rehabilitating the homeless people affected by river-erosion of Ramgoti Upazila under Noakhali District on August 14, 2005. Dutch-Bangla Bank Limited donated 700 bundles of high grade GCI sheets worth of Tk. 29.00 lac for rehabilitating the standard people of the four Upazilas of Gaibandha and Rangpur districts. Dr. Mozammel Hossain Khan, Co-ordination, DBBL is seen handing over GCI sheets to Mr. Tapan Chandra Mazumdar, Deputy Commissioner of Gaibandha district. Mr. Md. Yeasin Ali, Managing Director, Dutch-Bangla Bank Limited is seen distributing blankets among the cold-affected people of Angarpota and Dohogram – the enclaves of Bangladesh. Notably, 4,000 blankets were distributed to cover each of the 4,000 families of the villages waiting for blankets. a. Tk.4 crore for setting up a modem cancer hospital to Ahsania Mission Cancer Society. b. Tk.1 crore for setting up a modern cancer hospital to Bangladesh Cancer Society. c. Tk.1.20 crore for setting up a pediatric hospital to provide service to low income people whose 30% will be free and rest will be at low cost. d. Tk.90 lac to kidney foundation for setting up Operation Theater. Beside this DBBF also provides financial aid with different organizations that engages relentlessly to work with destitute women and children. Very recently DBBF has donated Tk. 15, 00,000/= to Rotary Club of Metropolitan Dhaka to purchase a modern equipment for the hearing impaired children. In 2003 approximately Tk.12, 10,986 (taka twelve lac ten thousand nine hundred eighty six) only and in 2004 approximately Tk40, 51,000.00 (taka forty lac fifty one thousand) only and in 2005 approximately Tk31, 55,000 (taka thirty one lac fifty five thousand) only is given as donation to different organization and person to mitigate their purpose. Diabetic Hospital: DBBL donates Tk.1,00,00.00 per month to bear operational expenses of Narayangonj Diabetic Hospital since October, 2001. Rural Health Care: DBBL has established Rural Health Center at its rural branches to render free medical services to the rural and destitute people of the adjoining areas. 1. Tk.40,000,000.00 (Taka forty million) to Dhaka Ahsania Mission to set up a Ahsania Mission Cancer Hospital. 2. Tk.10,000,000.00 (Taka ten million) to Bangladesh Cancer Society to set up a modern cancer hospital. 3 Tk.12,000,000.00 (Taka twelve million) to Shishu Sasthya Foundation to construct two floors of proposed 15 storied building of the Foundation. 4. Tk.9,000,000.00 (Taka Nine million) to Kidney Foundation to setup two operation theatres and a kidney transplantation ICU with a view to provide low cost services to poor kidney patients. 5. TK.1,500,000.00(Taka one million five hundred thousand) to Rotary Club of Metropolitan, Dhaka to help the disadvantaged children with hearing impairment. 6. Tk.500,000.00 (Taka Five hundred thousand) to Md. Atiqur Rahman Hridoy, a meritorious student of BUET who has been suffering from Blood Cancer. 7. Tk.100,000.00 (Taka one hundred thousand) to Md. Mokhlesur Rahman, a meritorious student of Economics Department of Dhaka University who has been suffering from Hepatities-B. 8. Tk.350,000.00 (Taka Three hundred Fifty Thousand) to Bangladesh Neonatal Forum for improving neonatal health as well as reducing neonatal Mortality rate in Bangladesh. 9. Tk.350,000.00 (Taka Three hundred Fifty Thousand) donated for sinking 25 shallow tubewells in 25 spots of Angorpota Dahagram enclaves. 10. Tk.300,000.00 (Taka Three hundred thousand) to Saleh Child Development Disability Management Centre to provide support to the mentaly retarded and disabled children. 11. Tk.300,000.00 (Taka Three hundred thousand) to Bangladesh Thalassaemia Hospital to setup modern equipments for reducing sufferings of poor Thalassaemic patients. 12. Tk.200,000.00 (Taka Two hundred thousand) to Health Promotion Limited for setting up private Chamber for Community Maternity Practitioner (CMP) Students. 14. Tk. 150,000.00 (Taka One hundred Fifty Thousand) only to APON for organising a training program on Therapeutic Community. 15. Tk.100,000.00 (Taka One hundred thousand) only to Society for the Welfare of the Intellectually Disabled, Bangladesh for training and rehabilitation of the mentally retarded and disabled children. 16. Tk.100,000.00 (Taka One hundred thousand) to SIED TRUST, Bangladesh for rehabilitation of underprivileged intellectually disabled children. 17. Tk.100,000.00 (Taka One hundred thousand) to Street Children Partner Bangladesh to develop the condition of street children. 18. Tk.100,000.00 (Taka One hundred thousand) to EKMATTRA for making a short length feature film named “Je Shohor Chorabali. 19. DBBL has donated G.C.I. sheets among the victims of river erosion and tornado affected people of Bogra, B. Baria, Netrokona, Mymensingh, Gaibandha, Rangpur and Ramgoti at a cost of Tk. 10 million. 20. DBBL has distributed blankets among the cold affected people of the country. So far the bank has distributed 1,50,000 pieces of blankets at a cost of Tk. 37.50 million. The DBBF has very recently chalked out an elaborate program to undertake few more program. Such as- Donation of books to the library of different Universities, Donation of a DNA detection machine to Bangabandhu Sheikh Mujib Medical University (BSMMU) for preventing Thelasaemia, Repair of Prolapse uterus / V.V.F., Repair of club foot, Prevention of Drug Abuse etc. We hope with the blessings of Almighty Allah, DBBF shall continue all such altruistic activities for betterment of the society, which we all belong to. A monument namely Oprotiroddhaya Bangladesh has been unveiled to commemo- rate the sacrifice for Great Liberation war at Panchdona Circle on Dhaka-Sylhet Highway under Narsingdi district with the financial assi-stance of Dutch Bangla Bank Limited. Dutch-Bangla Bank Limited awarded Fellowships to the scholars conducting researches to pursue M. Phil, Doctoral and Post Doctoral degrees at a simple ceremony held at Hotel Purbani International, Dilkusha, Dhaka on December 22, 2008. Dr. Salehuddin Ahmed, Governor, Bangladesh Bank was present as the Chief Guest and awarded Fellowships among the scholars. Mr. Md. Yeasin Ali, Managing Director, Managing Director of the bank was present at that time. Dutch-Bangla Bank limited handed over the Letter of Commitment for donating Tk. 9.73 crore to Dhaka University for constructing “Dutch-Bangla Bank Centre for Advanced Research in Arts & Social Sciences”. The Managing Director of Dutch-Bangia Bank limited Mr. Md. Yeasin Ali handed over the Commitment Letter to Prof. S. M. A. Faiz, the Vice Chancellor of Dhaka University in a simple ceremony arranged by the Dhaka University authority in the Senate Bhaban on February 27, 2008. Dutch-Bangla Bank limited awarded scholarships to the meritorious including 10 physically disabled students for their full academic period. Dr. Salehuddin Ahmed, Governor of Bangladesh Bank was present as the Chief Guest and handed over the Scholarship Awarding Letters to the recipients in a simple ceremony held at a local hotel on February 18, 2008. Mr. Md. Yeasin Ali, Managing Director, Mr. AHM Nazmul Quadir, Additional Managing Director of Dutch-Bangia Bank and Dr. Mozammel Hossain Khan, Coordinator of Dutch-Bangia Bank Foundation were also present in the function. Under the DBBL-Scholarship Program, Dutch-Bangla Bank Limited awarded scholarship to 200 meritorious and needy students including 10 physically challenged students who passed HSC Examination in 2006 and studying at graduate level in different universities/colleges of the country. Dr. A. B. Mirza Md. Azizul Islam, Honorable Adviser, Ministry of Finance, Planning, Commerce and Post & Telecommunication, Govt. of the People’s Republic of Bangladesh was present as the Chief Guest and gave away the Scholarship Awarding Letters to the recipients at a simple ceremony held at Osmani Memorial Auditorium, Dhaka on June 17, 2007. Mr. Md. Yeasin Ali, Managing Director of Dutch-Bangla Bank Limited presided over the function. The Chief Guest, Managing Director and Additional Managing Director Mr. AHM Nazmul Quadir are seen with the scholarship awardees in the picture. Dutch-Bangla Bank Limited (DBBL) donated Tk. 15.00 lac for purchasing academic reference books for Bangabandhu Sheikh Mujib Medical University (BSMMU). The Managing Director of Dutch-Bangla Bank Limited Mr. Md. Yeasin Ali handed over a payment order of Tk. 15.00 lac to Professor M. A. Hadi, Vice Chancellor of BSMMU held on June 8, 2006 at the latter’s office in a simple ceremony. Dutch-Bangla Bank Limited has donated a Toyota Hi-Lux Pick-up Van to the Department of Crop Botany of Bangladesh Agricultural University (BAU). Mr. Md. Yeasin Ali, Managing Director of the bank handed over the Key of Pick-up van to Professor M. Amirul Islam, Vice Chancellor of BAU at a simple ceremony held at Bank’s Head Office, Dhaka on June 7, 2006. Dutch-Bangla Bank Limited (DBBL) donated Tk. 15.00 lac for purchasing academic reference books for Dhaka University Central Library. The Managing Director of Dutch-Bangla Bank Limited Mr. Md. Yeasin Ali handed over a payment order of Tk. 15.00 lac to Professor S. M. A. Faiz, Vice Chancellor of Dhaka University at a simple ceremony held at Administrative Building of the University Campus on June 8, 2006. Under the DBBL-Scholarship Program, Dutch-Bangla Bank Limited awarded scholarship to 150 meritorious and needy students including 6 Blind students who passed HSC Examination in 2005 and studying at graduate level in different Universities/Colleges of the country. Dr. Fakhruddin Ahmed, Managing Director, Palli Karma Sahayok Foundation (PKSF) was present as the Chief Guest and gave away the Scholarship Awarding Letters to the recipients at a simple ceremony held at Osmani Memorial Auditorium, Dhaka on June 27, 2006. Mr. Md. Yeasin Ali, Managing Director of Dutch-Bangla Bank Limited presided over the function. Dutch-Bangla Bank – Prothom Alo and Bangladesh Mathematical Olympiad (BMO) committee jointly organized the International Mathematical Olympiad-2006 on July 8, 2006. Managing Director of Dutch-Bangla Bank Md Yeasin Ali speaks at a reception ceremony for the Bangladesh team members who will take part in the 47th International Mathematical Olympiad. General Secretary of BMO committee Munir Hasan, Vice President Prof. Dr. Zafar Iqbal, Joint Editor of Prothom Alo Abdul Quaiyum and presents of the contestants were present on the occasion. As a part of Corporate Social Responsibility, Dutch-Bangla Bank Limited has been extending medical facilities and other support to 50 HIV positive patients since 2004. In continuation of this program, DBBL organized a “Treatment Card” distribution program among the HIV positive patients on June11, 2007 in Hotel Purbani International, Dilkusha, Dhaka. Major General (Rtd.) Dr. ASM Matiur Rahman, Honorable Advisor, Ministry of Health & Social Welfare, Water Resources and Religious Affairs, Govt. of the People’s Republic of Bangladesh was present as the chief guest and distributed the Treatment Cards to 50 HIV/AIDS positive patients while Mr. Md. Yeasin Ali, Managing Director of the bank presided over the function. WProfessor Nazrul Islam, Head of Virology Department, Bangabandhu Sheikh Mujib Medical University (BSMMU) and Dr. Md. Shahzahan Biswas, Director General (Health Services), Health Directorate were present as special guests. Among others, Mr. K. S. Tabrez, Deputy Managing Director (Administration), Mr. Ghulam Kabir, Deputy Managing Director (Operation) and Senior Executives of the bank were also present at the function. Dutch-Bangla Bank Limited (DBBL) donated a DNA detection machine at a cost of Tk. 50.00 lac to Bangabandhu Sheikh Mujib Medical University for setting-up a Genetic Laboratory to prevent Thalassemia Syndrome in the country. The Chairman of Dutch-Bangla Bank Foundation Mr. M. Shahabuddin Ahmed unveiled the plaque of the Genetic Laboratory at Paediatric Hematology & Oncology Department of Bangabandhu Sheikh Mujib Medical University on June 03, 2006. As a part of Corporate Social Responsibility, Dutch-BangIa Bank Limited has donated an amount of Tk. 9.36 crore to Diabetic Association of Bangladesh Mr. M. Saifur Rahman, Honorable Minister for Finance & Planning, Government of the People’s Republic of Bangladesh was present as the Chief Guest and handed over the Letter of Commitment of DBBL to Professor A.K. Azad Khan, Secretary General of Diabetic Association of Bangladesh for modernization and expansion of lbrahim Cardiac Hospital & Research Institute at a simple ceremony held at Dhaka Sheraton Hotel on September 24, 2006. Dr. Salehuddin Ahmed, Governor, Bangladesh Bank and Md. Yeasin Ali, Managing Director of Dutch-Bangla Bank Limited were present at the function. Dutch-Bangla Bank Limited has extended financial assistance amounting to Tk. 18.5 lac to 17 NGOs engaged in rehabilitation of the disabled children of Bangladesh. Mr. Md. Yeasin Ali, Managing Director of the bank handed over the payment orders to the representatives of the organizations at a simple ceremony held at the Bank’s Training Institute on June 05, 2006. Dutch-Bangla Bank Limited (DBBL) donated Tk. 15.00 lac for purchasing a Video Endoscope Machine to National Medical College & Hospital. Mayor of Dhaka City Corporation Mr. Sadek Hossain, MP, received a payment order of Tk. 15,00 lac in favour of National Medical College & Hospital from Mr. Md. Yeasin Ali, Managing Director of Dutch-Bangla Bank Limited at a simple ceremony held at National Medical College & Hospital on June 10, 2006. Under the DBBL “Smile-Brighter” program, Dutch-Bangla Bank has organized a plastic surgery operation campaign at bank’s own cost in Dhaka City for the poor cleft-lipped boys and girls to bring back the endearing smile on their faces. The 4 day –long operation campaign started at South View Hospital at Mirpur of the city on June 11, 2006 and will continue till June 14, 2006. A plastic surgery team consisting of eight members headed by eminent plastic surgeon Dr. A. J. M. Salek has been conducting the operation. Dutch-Bangla Bank Limited organized a program for providing medical supports to the HIV positive patients at Hotel Purbani International, Dilkusha, Dhaka on June 22, 2006. Major General (Rtd.) Dr. ASM Motiur Rahman, Chairman, Technical Sub Committee, National AIDS Committee was present as the chief guest and distributed the Treatment Cards to 50 HIV/AIDS positive patients while Mr. Md. Yeasin Ali, Managing Director of the bank presided over the function. Brother Ronald Drahozal, CSC, Executive Director of APON – a volunteer organization working with addicted street children of the country also spoke as Special Guest. Under the DBBL Smile-Brighter Program, Dutch-BangIa Bank Limited organized a 4 day-Iong plastic surgery operation, during September 06 – 09, 2006 in Faridpur for the poor cleft-lipped boys and girls at the bank’s own cost to bring back enduring smile on their faces. The operations were performed at Faridpur Diabetic Association Hospital by a surgery team header by eminent plastic surgeon Prof Dr. A.J.M. Salek. Managing Director of the Bank Mr. Md Yeasin Ali and Medical Consultant of Dutch-Bangla Bank Limited Dr. Mozammel Hossain Khan are seen to visit two cleft-lipped patients just after operation. Dutch-Bangla Bank Limited (DBBL) undertakes a project with BASIS (Bangladesh Association of Software and Information Services) to award the best IT uses by Bangladeshi companies. DBBL and BASIS organized IT award-giving ceremony in this regard. The award Ceremony was held on 30th November 2005, which was the day before last day of BASIS SOFfEXP02005 (November 27-December 01, 2005). This was a gala evening (with dinner and cultural program) attended by around 700 dignitaries including government high officials & policy makers, corporate heads, representatives from development agencies, IT policy makers, academicians and the IT industry members. In this regards, DBBL’s contribution in supporting this event was 50% of the estimated cost with Tk. 6.25 Lac. Dutch-Bangla Bank Limited has won Asian CSR Award-2005 for its outstanding program on Corporate Social Responsibility (CSR). Mr. Yeasin Ali, Managing Director, DBBL is seen receiving Asian CSR Award-2005 from the Chief Guest, Dr. Juwono Sundarsono, the Honorable Minister for Defense, the Republic of Indonesia at a ceremony held on September 09, 2005 in Jakarta. National Bank Limited Foundation was established in 1989 for fulfilling responsibilities for welfare of the society .It has been running the National Bank public School and collage in Moghbazar, Dhaka. In 2008, 53 students appeared at the SSC Examination among them 25 students achieved Golden A+ and 32 students appeared at the H.S.C. examination among them 4 students achieved Golden A+. The bank has been accommodating prospective graduates o recognized universities for completing their internship. NBL also awarded stipend and scholarship to the brilliant children of the employees of the bank. National Bank Limited always extends its helping hands and stands by the suffering and helpless people in times of natural calamities. In 2007, National Bank Limited donated Tk. 40.00 Lac to help the victims of flood, Tk. 20.00 Lac for relief operation for landslide victims and Tk. 50.00 Lac for Sider victims to the relief fund of the Chief advisor and the Army Chief. The Bank has also taken a pilot project for post flood agricultural rehabilitation at Sirajgonj. On 10th March, 2009 a Payment Order for Tk.25.00 Lac has been handed over to the Hon’ble Prime Minister as a donation/financial assisrance to the bereaved family members of the martyred Army Officers killed in the BDR carnage held on 25th February, 2009. On 1st April, 2009, NBL donated Tk. 24.00 Lac to the Hon’ble Prime Minister to hand over the same to the family members of the martyred Army Officer which will be paid to 5 (five) families @ Tk. 40,000/- per month to each family for 1 year which will continue for 10 years. Thus total amount of donation will be Tk. 2.40 Crore. Nation Bank has a tradition of patronizing and sponsoring sports and cultural of the country. The “National Bank Volleyball league -2007” was arranged under patronization of the Bank. NBL has been arranging annual picnic for gathering and recreation o its executives, officers and staff. NBL has been continuously creating new fields of employment every year by way of expansion of its business activities and branch network in 2007, the bank created employment for 238 personnel’s. The Bank has also established the Southeast Bank Foundation to participate in social work in a more organized manner. In 2008, the Foundation donated Tk.11, 75,000.00 for the distressed humanity. Out of the amount, Tk.10.00 lac was given to Mr. Md. Rahimul Islam Majumder for medical treatment of his son’s hearing and speaking disability. Tk.1,75,000/- was donated to the Society for the Welfare of the Intellectually Disabled – Bangladesh. Accountants of Bangladesh (ICAB) on a recurring basis to continue annually to pursue Chartered Accountancy Course. Each scholarship holder is being given Tk.3,000.00 per month for 03 (three) years. Besides Tk.10, 000.00 was paid to each of them for books and other related expenditures. Hockey and donated Tk 2.5 Million to Bangladesh Hockey Federation. Mercantile Bank Limited (MBL) is fully committed to conduct its business activities in an economically, environmentally and socially sustainable manner. The Bank always fosters the motive in mind to build a ever-lasting warm relationship with the customers, employees, capital providers, community people, regulatory bodies and other stakeholders. Keeping this motive in mind, MBL always cares all of its stakeholders and the community people since its inception. As we all know that banks act as a ‘Trustee’ for the society. Therefore, MBL behaves in a responsible and ethical manner with the community people. The Bank always contributes towards changing the quality of life of the people as the Bank wishes to see them leading their life in a standard way. The Bank serves by adhering closely the national policies and thereby contributing towards the progress of the nation. In maintaining its responsibilities to the society where it operates its business activities, MBL focuses in the areas of employment, education, professional development and contribution to the underprivileged people. MBL plays an important role in creating job opportunities for the people. Each year, the Bank creates employment opportunities for fresh graduates as well as experienced officials. In 2008, a total of 169 fresh graduates have joined with MBL family. The new recruits have joined as Probationary Officers (82) and Assistant Officer (87). Besides, experienced bankers are also being appointed in the Bank as and when required. At the end of 2008, the Bank has 1,115 officials in its payroll. Moreover, Bank’s financing to the SME sector will indeed promote employment generation. MBL desires for an educated nation. The Bank through its Foundation, patronizes the education sector of the country. The Bank provides scholarship to the needy and brilliant students of different educational institutions. Best two MBM graduates of BIBM get financial awards from the Bank. In the year under review, the Bank has provided scholarship worth BDT 1 lakh in this regard. The children of the employees of the Bank also get scholarship for brilliant results. MBL has also donated BDT 1.00 million to Bangla Academy for research in Bengali Literature with a view to aid academic research, which would eventually uphold Bangladeshi culture across the Globe. Professional education has been encouraged in MBL. The Bank believes that to be more professional one should gather professional knowledge. The Bank is continuing its supports to the professional bodies as it continued earlier. The Bank encourages it employees to complete Banking Diploma by rewarding BDT 5,000 for completion of part-I and BDT 7,000 for completion of part-Il. MBL always shares the well and woe of the distressed people. Mercantile Bank Foundation has been set up to give financial support to the underprivileged communities. Through this Foundation, the Bank concentrates on addressing the needs of physically disable people such as blind, acid victims etc. The people of our country are used to be the victims of natural calamities every now and then. The Bank strives to assist the victims of natural disaster by providing financial help in rehabilitation and rescue purpose. In the year 2008, the Bank donated BDT15.30 Iakh for helping the disaster victims. MBL fosters the culture of various communities. The Bank is relentlessly supporting traditional games and sports by taking some non-profit initiatives. As a recognized benefactor of culture, the Bank provides funding for the publication of art books that familiarize the Bank. A variety of cultural institutions have been benefited by the initiatives of the Bank. The Bank also supports the writers, musicians and other performers in their inventive activities. The Bank patronizes different cultural activities. A number of cultural programs encouraging different communities have been sponsored by the Bank. The Bank has sponsored National Chess Championship, Tennis competition and Swimming competition in different times. In 2008, the Bank was the Official Sponsor of 23rd National Swimming Championship Competition arranged by Bangladesh Swimming Federation. BDT 1 (one) million has been donated to celebrate this ceremony. Mercantile Bank Foundation has been established to act as a helping hand to the community people and Banks commitment towards CSR. The Foundation always plays its role by extending charitable and beneficial social services. The Foundation has been promoting a dialogue between the Bank and its community for over nine years. Through its programs, the Foundation strives to preserve and promote cultural heritage and support artistic expression. It also provides funding for state-of-art research, as well as for innovative projects in the areas of education, social insertion and disability. 1. To take possible initiatives in increasing social well-being and alleviating poverty from the country. 2. To support the education by establishing new educational institutions, providing stipends! scholarship to the poor and brilliant students. • Economy and Economic Research. 4. To assist research activities on Bengali Literature through Bangla Academy. 5. To support the writers and publishers through purchasing their books and distributing these to different educational institutions on the occasion of national and historical days. 6. To assist the unemployed young to make them self-sufficient. 7. To assist the rootless and distressed orphans through taking appropriate steps for their mental perfection and self-support. 8. To support in establishing hospitals, clinics, etc. for the improvement of the health sector, to donate one time financial endowment to the poor artiste, literature-patron and fatal disease- affected poor patients, to support the poor father for arranging his daughter’s marriage, to help poor but bright students. • The Bank contributes 1% of Operating Profit or BDT 4.00 million, which one is maximum..
• Grants and Donations from persons or Organizations of home and overseas. Pubali Bank Limited is very much committed to the Corporate Social Responsibility (CSR). Social responsibility is designed to respond for the greater interest of the society. The Bank believes that without awareness of social responsibility and keeping performance in accordance to the need no country can attain a sustainable development. Since there is no hard and first formula to follow for expressing corporate social responsibility (CSR), each organization is characterized by its own circumstances and vision. Pubali Bank Limited shows its obligation for upliftment of backward part of socio-economic segments especially to assist the development of health sector. Pubali Bank takes part in real needs of the society. To promote the health sector is motto of the Bank. The Bank financially assists various Trusts/Organizations/Associations who are involved in providing charitable and voluntary sophisticated and specialized modern medical treatment to the down trodden general mass of the society. It reflects from active participation for establishing Ahsania Mission Cancer Hospital. The Bank munificently donated substantial amount for Construction of this Cancer Hospital. The Bank also extends support to the development of the community through promotion of sports, culture, and educational program. The Bank ponders to develop human resources and generously nourish scholarship program to the brilliant children of employees of Pubali Bank Limited. Since the inception as a responsible corporate body BRAC Bank Ltd. has undertaken various initiatives considering the interest of customers, employees, shareholders, communities and environment. These initiatives go beyond the statutory obligation and mandatory compliances to voluntary activities that promote sustainable development. BRAC Bank’s vision focuses on double bottom line that it should make decisions based not only on profit but also based on social and environmental consequences is closely linked to the principles of CSR. BRAC Bank as part of its Corporate Social Responsibility (CSR) has contributed BDT 2,500,000/- (taka twenty five lac only) to the Prime Minister’s Relief Fund for the bereaved families of BDR incident. ICDDR, B’s Dhaka and Matlab hospitals provide free treatment to more 120,000 patients each year with a commitment to never turn away anyone arriving for treatment. With the support of BRAC Bank the short stay ward has now been renovated with full air conditioning, new washrooms, and hand-washing sinks, surrounding walls and upgraded floors and ceilings. ICDDR,B being one of the busiest and well known cholera and diarrhea hospitals is serving patients from all walks of life specially the under privileged citizens. In this notion, BRAC Bank as part of its corporate social responsibility has contributed Tk. 5,000,000 with addition to its US$38,525 donated earlier, to facilitate ICDDR, B to treat its patients with better care. Autism is a life long neuro-development disorder in children, in which they have difficulty in relating to others, comprehending other people’s feelings and making sense of external activities. In Bangladesh, autism is thought to affect 1 child in every 500 and currently 4.4 million children worldwide are diagnosed with 3rd South-Asia Regional Conference on Autism. There is wide spread ignorance, prejudice and superstition among the illiterate poor. Children with autism may have profound level of intellectual function and the spectrum can range from mental retardation to very high conventional IQ’s. The only recovery of this disorder is earlier diagnosis the better will be the prognosis. In this regard, ‘Society for the Welfare of Autistic Children’ (SWAG) organized the 3rd South-Asian Regional Conference on Autism. In support of this noble initiative, BRAC Bank contributed Tk. 2 million to successfully execute the conference. The main objective was to enhance the knowledge of parents, professionals, specialists and teachers, so that they can have a better understanding of autism and offer improved services to children with autism, raise awareness about autism in the society. The speakers and participants working with autism are invited from India, Pakistan, Nepal, Bhutan, Brunei, Sri Lanka, UK, USA, Finland etc. BRAC Bank with SWAG supported this praiseworthy initiative to raise awareness among the mass to alleviate the misconception on autism. BRAC Bank sponsored the Viqarunnisa Noon Debating Club to organize their annual debating competition. This initiative would help the youth to develop their creative skills, being the future leaders to prepare themselves better to serve the society from the forefront. BRAC Bank supported WEAB to initiate a relief program under which they helped building house for acid victims especially in cyclone SIDR hit areas namely Cox’s Bazar and Barisal. A cultural event was organized to raise fund for the charity. Dhaka Metropolitan Police (DMP) commenced community police service in different parts of the city, with a view to involve the community in the criminal administration and traffic control system. In this regard BRAG Bank has supported Dhaka Metropolitan Police as part of its ongoing GSR activities. BRAG Bank has provided the DMP with road divider, traffic cones, police vests and umbrellas to assist them in serving our society for the betterment. BRAG Bank supported ‘15th All Asians Inter-varsity Debate Championship’ organized by North South University, where more than 500 participants, adjudicators and faculty members who hail from more than twenty Asian nations exhibited their debating talent; while supporting the whole initiative BRAC Bank exclusively organized ‘The Youth Development Night’ where debaters discussed about different ongoing global issues and crisis. BRAC Bank as part of its community development initiatives has stood beside different voluntary organizations and community clubs who undertake diverse initiatives to mitigate misery from the people affected by natural calamity or other social perils. BRAC Bank has sponsored 1000 pieces of t-shirts for the volunteers of country wide Vitamin-A campaign. Each year government’s health ministry organizes this campaign where children of 0 to 5 years are given a drop of vitamin A, to prevent them from preventive diseases. To create more awareness against such diseases BRAC Bank lent its support in the campaign. BRAC Bank donated Tk. 10,000 to help ongoing treatment of a child name ‘Dorpon’, who electrocuted himself and burned half of his body. BRAC Bank with Bangladesh Shilpakala Academy has supported Protibha Onneshon a talent hunt program where participants from different parts of Bangladesh show their talents in music, dance, poetry and other cultural arena. An educated nation can build a civilized society. Recognizing the importance of education in nation and society building, Bank Asia has initiated an ambitious plan titled “Bank Asia Higher Studies Scholarship” to provide assistance to those students who have merit and dream in their eyes to serve the society, but not the means to pursue higher studies. Under the scheme, the Bank awards poor but meritorious students of rural areas where the Bank has its branches for their higher studies in core subjects, namely Engineering, Medicine, Physics, Chemistry, Business, Economics, Management, Finance, Banking, etc. The scholarships are given basing on the SSC and HSC exam results and the duration of the scholarship is generally 4 to 5 years. But it may be extended depending on the course duration. Under the program, students receive Tk. 2,000.00 per month. Besides, a lump sum grant of Tk. 10,000.00 is given annually to purchase books and for payment of tuition fees. This scheme was introduced in 2005 and till 2007 thirty students have received the scholarships who are studying in different premier educational institutions of the country. For the year 2008, a total of 50 (fifty) students have been awarded this scholarship and presently a grand total of 80 (eighty) students are enjoying benefit of this scheme. In the year 2005, Bank Asia started a program in collaboration with Bangladesh Eye Hospital (BEH) to help the handicapped and the underprivileged by providing necessary financial support for performing ophthalmologic operation of all born blind children of Bangladesh. The trained doctors of BEH conduct the operations in their modern hospital equipped with latest equipments and technology at Dhanmondi. So far, a total of 929 children have been operated. In addition to the ophthalmological operations, the Bank arranges free Eye Camps in the rural areas where free treatments including spectacles are provided to a large number of school going poor boys and girls and other people of the localities concerned. The Bank has donated an amount of Tk. 2.00 million to Islamia Eye Hospital (IEH) for the construction of a children ward at the hospital premises. Furthermore, at our persuasion, the Muslim Commercial Bank of Pakistan donated an amount of Tk. 2.00 million to IEH for the same purpose. The Bank has donated an amount of Tk. 1 .5 million for purchasing of an ambulance for a hospital run by Bir Shreshta Matiur Rahman Foundation. Besides, we have financially supported Center for Rehabilitation of the Paralyzed (CRP), Savar and Thengamara Mohila Sobuj Shangha (TMSS) for their hospital at Bogra and also to Acid Survivors Foundation. The Bank also arranges voluntary blood donation campaign on various national occasions where the officers of the Bank and general people participated spontaneously. Computer literacy is essential to our growth and development and it needs to be spread to our rural areas. The Bank works with a philosophy to help poor students in rural areas by establishing and operating Computer Learning Centers (CLC) in different schools in providing a technological platform for students, which will help in their endeavors to a brighter future. We have taken this initiative to contribute to the promising IT sector of the country. Already 13 CLCs have been established in different rural schools and are in full operation. About 1,000 students have been enrolled so far in these CLCs out of which 900 students have already obtained certificates. Bank Asia is going to setup another 15 CLCs from where more than 3,000 students are expected to receive education in computer technology every year. Considering the importance of the rural economy in the economic development of the country, agricultural finance occupies a special position in the lending activities of the Bank. In order to provide support to the poor farmers of Bangladesh who play a crucial role in the development of the country, the Bank disburses agricultural loans mainly through its rural branches. Concurrently, credit lines are also extended to different NGOs to support our initiatives for agricultural development and alleviation of poverty in the rural areas. and invested a considerable amount in this sector. The Bank has disbursed 1k. 155.80 million for SME financing and the program is being expanded rapidly. As a responsible corporate citizen, Bank Asia believes that it is committed to the welfare of the community at large. Whenever there is any natural calamity, the Bank responds promptly to aid the affected humanity. In November 2007, the severe cyclonic storm SIDR had devastated a large part of south — eastern belt of the country and though within its limited resources, the Bank did its best to provide relief to the distressed people. The Bank donated 1k. 5.0 million each to the Chief Advisor’s Relief Fund and Army Chief’s Relief Fund for the SIDR affected people. Besides, the employees of the Bank donated their one-day salary to the relief fund of the Bank. The Bank distributed relief materials of 1k. 1.18 million from its relief fund among 500 victims at Shoronkhola (Bagherhat), the worst SIDR affected area of the country. We would like to declare our pledge that Bank Asia is always ready to stand by the poor disaster affected people of the country. Dhaka City Corporation has a project named ‘Beautification of Dhaka Metropolitan City” and Bank Asia has a spontaneous participation in this program. Under the project, the Bank has taken the responsibility of maintenance of 3.0 km long road island running between US Embassy at Natun Bazar, Kuril and Rail Gate, Bishaw Road, Khilkhet. The long island is planted and plastered with multi varieties of flower plants which has given the surrounding greenery, a cheering and attractive look with beneficial impact on the environment. As a responsible corporate citizen, Bank Asia regularly arranges and participates in different social and cultural programs like celebration of Pohela Boishakh, International Mother Language Day, Independence Day, Victory Day, etc. Besides, Bank Asia also arranges Ifter Party and Doa Mahfill during holy Ramadan at different branches. People from different social levels participate there. Bank Asia has been one of the pioneers in supporting environment friendly CNG projects by financing CNG conversion and CNG filling stations. The Bank has decided not to finance any tobacco related business or any environmentally hazardous business. Besides, all the offices of Bank Asia are declared as smoking free zone. It was a matter of great sorrow that Mr. Nurul Amin, a brilliant officer of the Bank and former manager of Tarail Branch expired on 12th February, 2009 while he was on duty. He left behind his wife, one son and a child yet to be born. His untimely death was a great tragedy to his near and dear ones. As part of its responsibility, the Bank has come forward to help the deceased’s family members and it was decided that they would receive financial assistance of Tk. 20,000.00 per month for a period of 20 (twenty) years. Being a key development partner of the economy, a bank cannot shy away from responsibilities for the society. The Premier Bank has always come forward to be glued with social responsibilities since the inception of the Bank in 1999. Be it education, charity, games & sports, environment, science, health care or talent development, the Banks social commitment was felt everywhere. The charity contribution for the deprived parts of the society enshrines the Bank’s commitment for CSR. The Premier Bank Limited is very much keen and conscious about its corporate social commitment and it has been operating different types of charity, social welfare and benevolent activities during the last several years. In order to strengthen the bank’s involvement in social and philanthropic activities, a non profitable, non-political and non-governmental organization in the name of “The Premier Bank Foundation” has been set up and the Board of Directors has decided to contribute to the foundation out of its operating profit each year. • Donation of Taka 1.00 lac to Birshrestha Motiur Rahman Foundation in May, 2008. • Sponsoring 03 national events of Bangladesh Basketball Federation for Taka 15.00 lac. • Sponsoring National Vitamin A+ Campaign conducted by the Govt. of Bangladesh in May, 2008 with 1000 pieces of T-shirts for Taka 75.00 thousand. • Donation of Taka 42.00 thousand to Kendrio Khelaghar Asar in August 2008. • Sponsoring International Day against Drug Abuse and Illicit Trafficking 2008 for Taka 50.00 thousand. • Sponsoring journalists of Daily New Nation and Daily Amardesh for 1.50 lac in connection with Trade Fair of Bangladeshi Products in Athens, Greece participated by Greek-Bangladeshi Commercial and Cultural Chamber. • Sponsoring Fisheries Development Campaign-2008 organized by Department of Fisheries, Bangladesh for Taka 15.00 thousand in Sep 2008. • Sponsoring Breast Feeding Week: 01 – 07 August 2008 conducted by Bangladesh Breastfeeding Foundation for Taka 25.00 thousand. •Sponsoring Bangladesh Sports Writers’ Association for Taka 6.00 ac on the occasion of Annual Award Giving Ceremony of the organization in Nov 2008. • Sponsoring Bangladesh Physiotherapy Association for Taka 50.00 thousand on occasion of 3rd National Conference of the organization in Nov 2008. • Sponsoring Lalon Cultural Group for Taka 30.00 thousand. 4.4.10 Al-Arafah Islami Bank Ltd.
CSR is an integral part of our corporate culture and ethics. We respond positively in every sphere of social activities we are delivering innovative solution to our valued customer and in the same manner we are also helping different areas of social activity through our CSR activities. During the year 2008 we accomplished different humanitarian and social activities which include allocation of fund Tk. 40 lac for AIBL foundation to establish kidney dialysis center, donation of Tk 30 lakh to the Army Golf Club for the welfare of sports and culture of Bangladesh army federation, donation of Tk. 30 lakh to AIBL English Medium Madrasah, library and different hospitals and universities. Besides, we have taken a program to develop manpower and make them self employed as well as assisting them for employment in abroad. Corporate Governance is based on several critical principles. They include an independent, active and engaged Board of Directors which has the skill to properly evaluate and oversee the business process, business and financial performance, internal control and compliance structure and direct management on strategic and policy issues. On the other hand, the Board has to ensure that the management headed by Chief Executive Officer (CEO) fully discharge their day to day business and administrative responsibilities prescribed by the central bank and the Board itself and necessarily refrain themselves from micro management of the management affairs. The only guideline regarding Corporate Governance so far issued by Securities & Exchange Commission (SEC) Notification No. SEC/CMRRCD/2006-158/Admin/02-08 dated 20th February, 2006 is currently being followed by Banks. Among the banks which have been taken for analysis, Dutch-Bangla Bank Ltd and Southeast Bank Ltd have complied with all categories that are required by the Securities & Exchange Commission (SEC). BRAC Bank Ltd, Bank Asia Ltd, and Premier Bank Ltd have complied with 38 categories among 39 categories. The Banks are lacking of Inclusion of Independent Director in the Audit Committee. So the Banks should include an Independent Director in the Audit Committee. Dhaka Bank Ltd has complied with 37 categories among 39 categories. The Bank is lacking of Inclusion of Independent Director in the Audit Committee and Requirements to Attend Board Meetings by Chief Financial Officer (CFO).So Dhaka Bank should include an Independent Director in the Audit Committee and Chief Financial Officer (CFO) should attend in the Board Meetings. National Bank Ltd, Mercantile Bank Ltd, Pubali Bank Ltd, and Al-Arafah Islami Bank Ltd have complied with 36 categories among 39 categories. The Banks are lacking of Inclusion of Independent Director in the Audit Committee, inclusion of Independent Director, and appointment of Independent Director in the Board. So the Banks should include an Independent Director in the Audit Committee and of Independent Director in the Board. Table 5.2 represents descriptive statistic. From the table we observe that the minimum return is -.050000 and maximum return is.149053.The mean and standard deviation of the return is 0400310 and .056690595 consequently. The minimum value of the standard deviation is .058371 and maximum value of the standard deviation is .320825.The maximum and minimum value of the compliance index is .923 and 1.00 consequently. The mean of the compliance index is .95630 and standard deviation is .032056. Table 5.3 represents Correlation between security return and compliance index. From the table we can see that positive Correlation exists between security return and compliance index. So we can conclude that the higher the compliance with SEC regulations the higher the security returns. Table 5.3 represents Correlation between standard deviation of the security return and compliance index. . From the table we can see that positive Correlation exists between standard deviation of the security return and compliance index, which indicate the higher the compliance index the higher the risk. But the correlation between standard deviation of the security return and compliance index should be negative. This might occur because we have taken small sample size for analysis. The basic driver of CSR consists of values that have taken place within businesses where they not only feel responsible for creation of wealth but also for social and environmental well being. The Banks should committed to being an equal opportunity employer, protecting the environment, and finally, serving the community of which we are a part. Banks should strive to achieve further development of balanced corporate performance in the economic, social and business in a manner that promotes sustainable development for both the Bank and the community ecological arena. So from the above table we can see that among the banks only two banks, Dutch-Bangla Bank Ltd, BRAC Bank Ltd and have participated in all CSR categories (Education, Health Care, Sports, Cultural Programs, Environment, Disaster Relief, and Information Technology). The Southeast Bank Ltd, Bank Asia Ltd, Premier Bank Ltd, and Mercantile Bank Ltd have participated in six CSR categories among seven categories. Al-Arafah Islami Bank Ltd has participated in five CSR categories among seven categories. Pubali Bank Ltd, National Bank Ltd and Dhaka Bank Ltd have participated in four CSR categories among seven categories. So these Banks should give more attention in CSR activities. Banking sector remains of enormous importance for Bangladesh who is striving hard to strengthen its developing yet fragile economy. To move from the agriculture based economy to an industry-based one, Bangladesh needs its banking sector, which is the single largest element of the financial sector, to operate at its best with utmost efficiency. Anything short of that and even a slight instability in this area would wreck long term havoc on Bangladesh’s development. And sound corporate governance remains to be a key requirement for efficient and stable banking system. Uniqueness of banking companies and banking business require special corporate governance attention on a priority basis particularly for the developing countries where prudential regulation and supervision is inadequate to provide a safety net for the depositors and stakeholders of the banks. Corporate Social Responsibility (CSR) practices should be an integral part of corporate culture and ethics. By CSR practices an organization can improve communication with the community and other stakeholders, ensure accountability and transparency in its operation, improve internal decision making and cost saving, enhance corporate image, improve reputation and ability to enlarge market share and Enhancement of customer true worthiness, profitability and sustainable development.